Outstanding Crochet: Blue Crochet Dress. Значит так и есть, надо браться. Удачи! 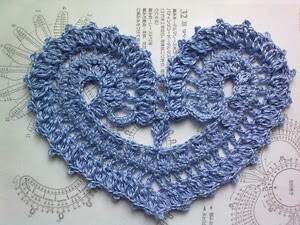 Can you tell me what the stitch is on the very last outside row on the heart? [dc, ch, p (picot: ch 3, sl st in 1st ch), ch, skip 2 (or 1)] rep, dc... I think you asked about p (picot) mainly, right? those drop-shaped stitches... I hope it helped. 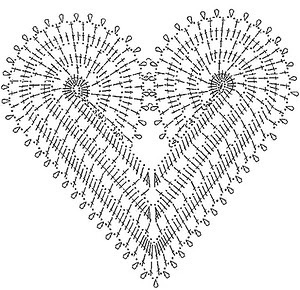 Do you have the written instructions for this motif?